Two gifts in one. 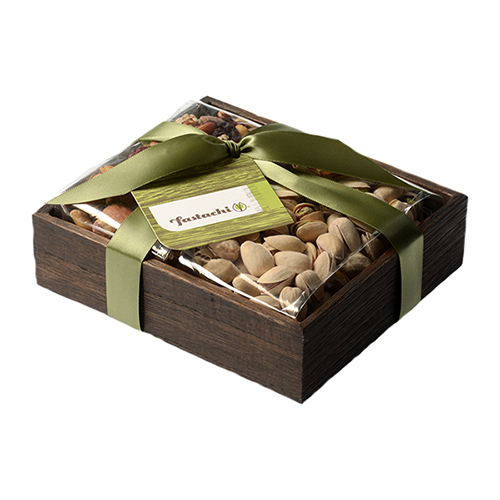 The beautiful wood box makes a lovely gift on its own, but filled with Fastachi's irresistible fresh roasted Salted Pistachios and our signature Cranberry Nut Mix, it becomes unforgettable. Two gifts in one. 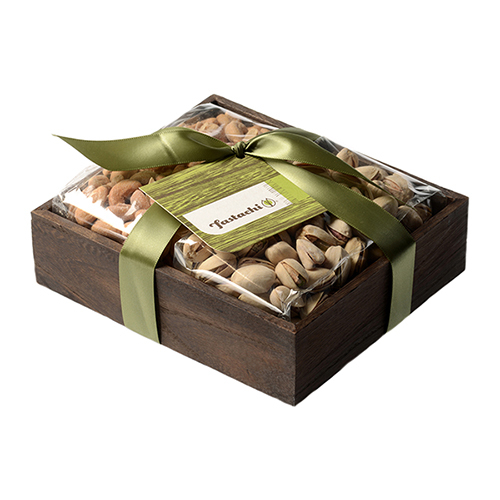 The beautiful wood box makes a lovely gift on its own, but filled with Fastachi's irresistible fresh roasted Salted Pistachios and our signature Cranberry Nut Mix, it becomes unforgettable. 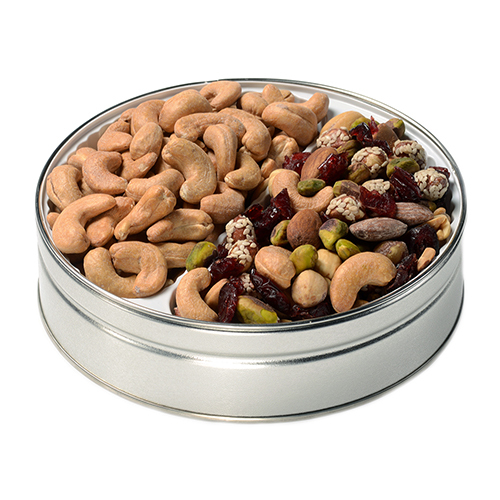 Choose from three different assortments of nuts and nut mixes. gift dimensions 7" x 6" x 2"
I sent this as a treat for my parents. It was a lovely surprise and they were impressed with the beautiful packaging and the high quality of the snacks. It was nice to be able to send something local, and something that wasn't a Harry & David type gift (which gets boring). The ordering process with Fastachi was simple and the delivery was made when promised. This will be my go-to from now on! 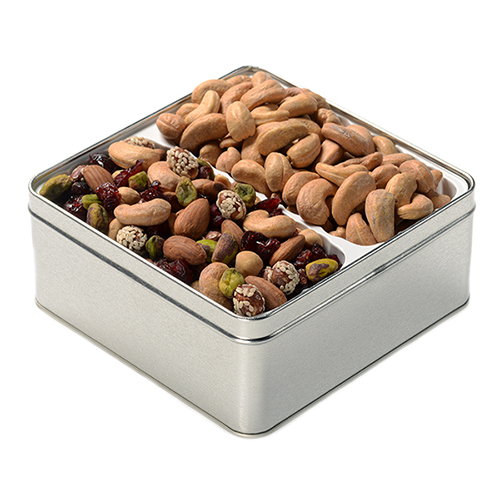 Sep 22, 2016 | By Amy B.
I sent my cousin the Cranberry Nut Mix Salted Pistachios gift tray as a pre-surgical gift. Fastachi shipped it quickly, included my note and caught and corrected an address error on my part. My cousin was thrilled with the gift and loved each element. I will continue to shop Fastachi for my gift giving! Sent as a gift. Got there pretty fast! Cute box in tact. Impressed. 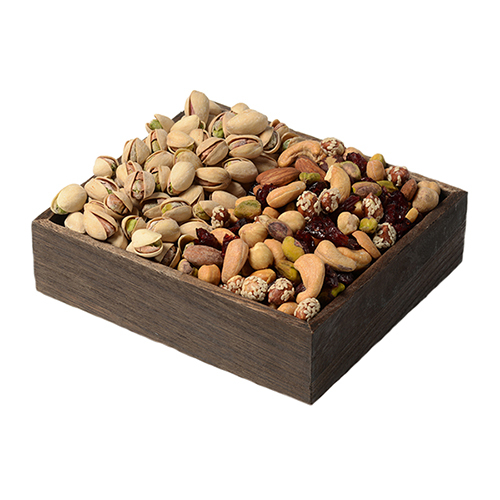 Fresh & tasty - great gifts! Over the past 7 years I have used fastachi for various local corporate events and personal purchases, and have always been incredibly pleased. This year I sent several fastachi gift items to family members across the U.S. and was pleased to hear how much they enjoyed the products and presentation as well. They commented on how fresh and gourmet the nuts and mixes were. Highly recommended!